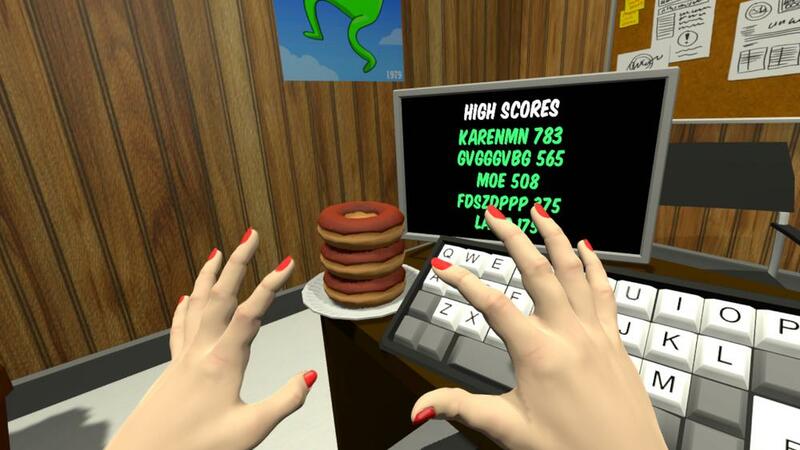 Use the Leap Motion controller and the Oculus Rift to enter the world of Mister Mart! In Mister Mart, you play the role of a customer service representative at a bad grocery store. Because it's such a bad grocery store, all of the customers are returning their purchases! Use your hands to place the items into the return bin, and punch annoying customers to get them away from your desk. Try to get the highest score and keep your stress level down by returning items and getting rid of customers as fast as possible.